Nestled next to the Sea of Cortez in Baja California Sur, Mexico, sits the town of Loreto, a sport fisherman’s haven. While anglers may come for the fishing, they stay for the area’s rich culture, colonial history and incredible views seen from under the thatched roofs. 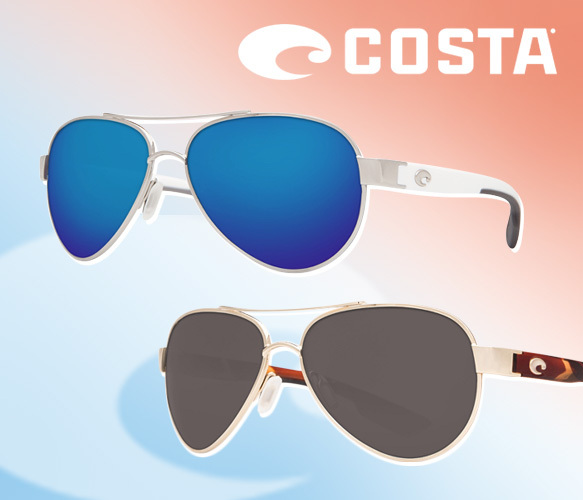 Costa’s latest style, “Loreto,” honors its namesake with a laidback, versatile design. Featuring a sporty aviator silhouette in metallic silver and rose gold, these shades will travel just about anywhere. Vibrantly hued lenses and color-blocked temples bring trendy flair to these must-have sunnies. To boot, no-slip nose pads, hypoallergenic rubberized temple tips and durable materials make these sunglasses totally comfortable and ready for any wild adventure.